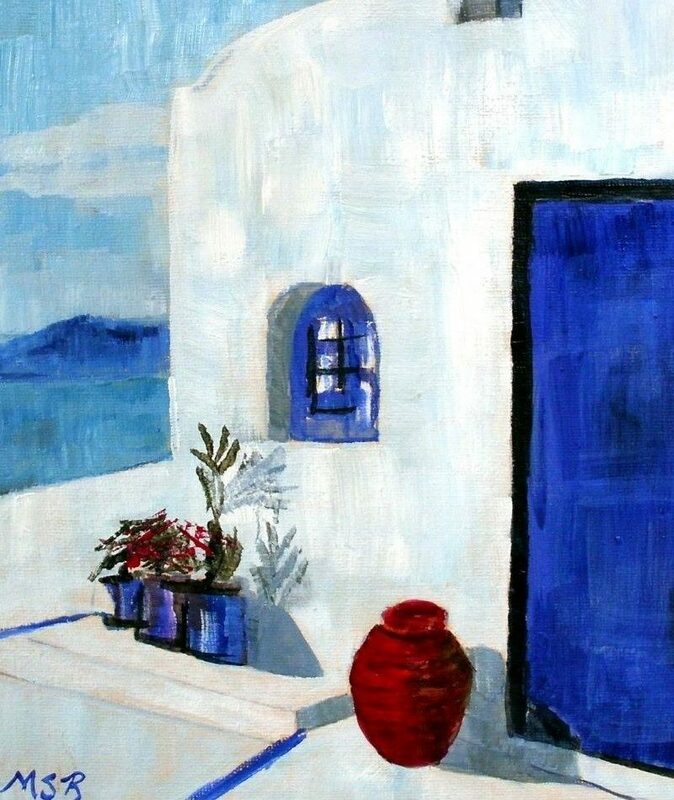 White is one of the most used colours in painting. Old Holland has five different whites in its oil collection. Which white colour should you select and when can you best use it? Read on now to find out! Just try to describe the white you see when looking at a white, recently cleaned sheet that is hanging to dry on the clothesline on a clear day with 20 degrees of frost in Iceland. Now describe the white you see when looking at the same white sheet, but now on a gloomy grey rainy day in Holland. Try to do it again when the sheet is being reflected in the full moon at night. 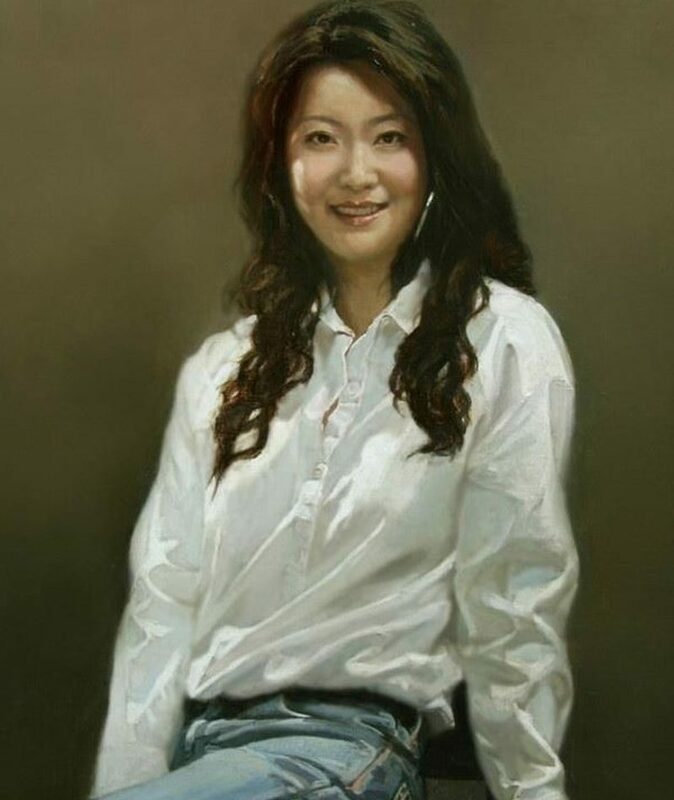 Maybe it is better for painters (instead of writers) to depict the colour white. To do this, one must find the right method, a pigment and a binder (vehicle) that portrays the white the painter has in mind. Ever since the first attempt to create a synthetic white pigment 2600 years ago right up to the present time, experiments and discussions still continue about the creation of white pigments, the best possible binders for creating the best possible paint and about its application in the art of painting. With passion, historical knowledge and with the use of the newest technological developments, Old Holland Classic Colours has created a selection of five white colours. We think this enables today’s painters to portray all possible manifestations of white and to use that white to portray what they envisage in all possible variations of mixtures and textures. Titanium White has a slightly softer buttery texture. When unmixed, Titanium White has a brilliant, neutral white character. Titanium White is the ‘whitest white’. It achieves maximum light reflection. It is very opaque. It is the perfect white for mixing and for optimally retaining the brilliant character of the colours. You can achieve a ‘standing’ brush stroke and the ‘impasto’ effect with Titanium White. 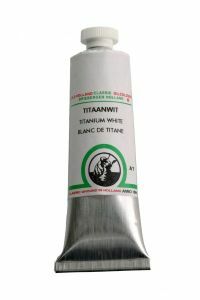 Zinc White has a soft texture and is less opaque than Titanium White. It has a cool open character. 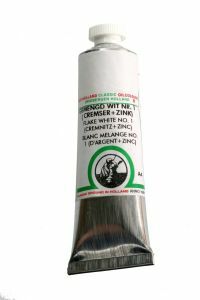 This makes Zinc White the only white that is suitable for use with the glazing technique. If you mix it with the (semi) transparent colours in the Old Holland spectrum, you can achieve a variety of beautiful ‘glazed’ effects. If you mix it with (semi) opaque colours, Zinc White produces an open and clean light. 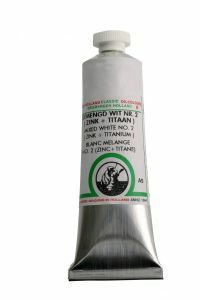 Zinc White is often used with the alla prima (wet-on-wet) painting technique, because it has a relatively longer drying time. 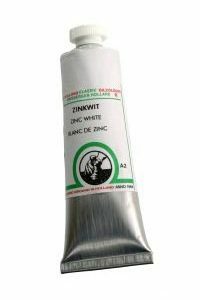 Zinc White is unsuitable for use as an opaque ground or preparation layer on the canvas. Cremnitz White has a firm ‘body’, making it very suitable for obtaining sculptural (impasto) effects. When unmixed, it creates a warm ‘restrained’ appearance. 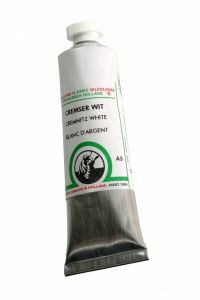 Cremnitz White is a perfect white for mixing colours in the opaque to semi-opaque spectrum. It is suitable for use in the ground or preparation layer and in the lower layers of a painting, partly thanks to its relatively fast drying time. Cremnitz White is made from industrial lead carbonate and cold-pressed linseed oil. It is extremely toxic if inhaled or absorbed through the skin. Both its production and use have often resulted in lead poisoning. This product is sold under strict conditions and legislation. The rules vary per country. Check the availability and packaging options at your dealer. Flake White is a combination of 50% Cremnitz White and 50% Zinc White and offers a beautifully balanced white. It has a creamy texture, somewhere between the firm ‘body’ of Cremnitz White and the softer texture of Zinc White. With this, you can obtain a smoother brush stroke than with just Cremnitz White, but it still ‘stands’ more than when only using Zinc White. Mixed White No. 2 combines the strong tinting strength and light reflection of Titanium White with the coolness and open character of Zinc White. It has the extrovert character of Titanium White that allows mixed colours to radiate by reflecting the light and yet it leaves the colours open through the more transparent character of the Zinc White. It has a creamy texture (comparable with Flake White) and it offers numerous mixing possibilities with the colours in the Old Holland spectrum. It is the coolest, cleanest, but also the most empathic white.